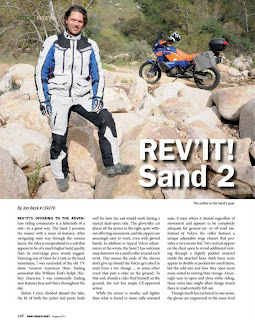 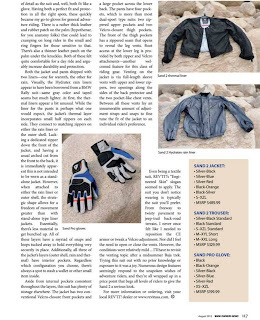 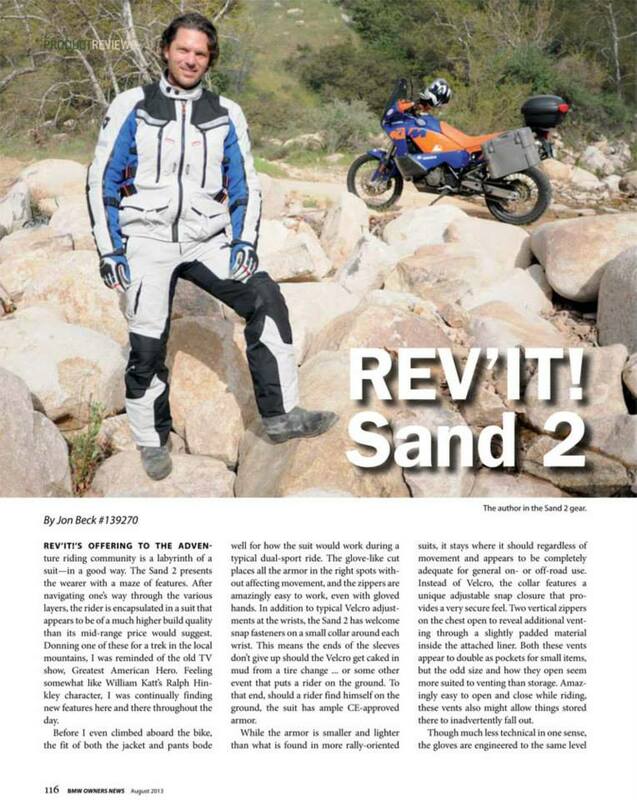 Latest issue of BMW MOA features a review of the amazing Rev'It Sand 2 Adventure suit, plus Ian Schmiesser's review of the 2013 BMW R1200GS shot in California. 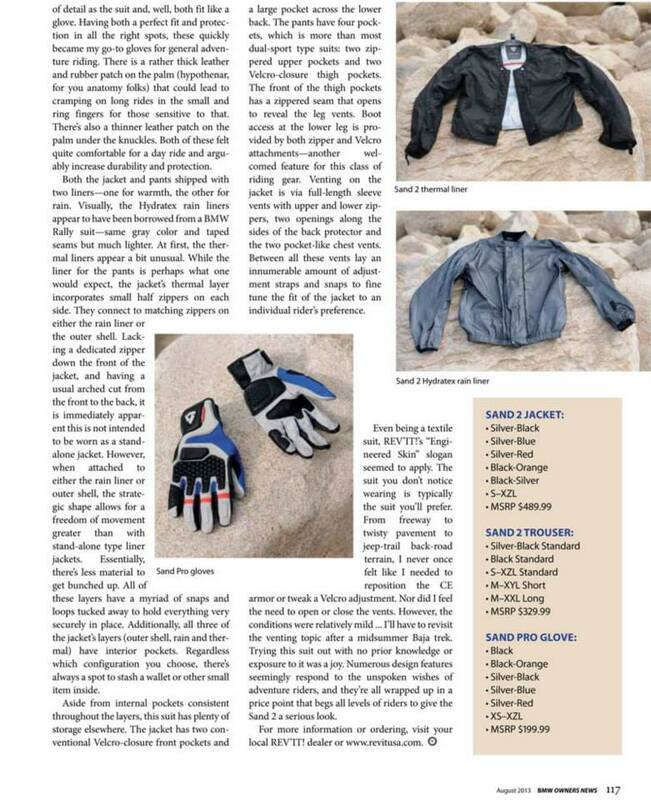 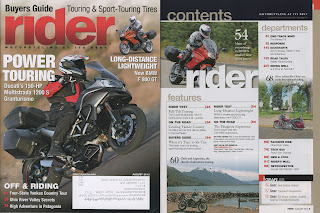 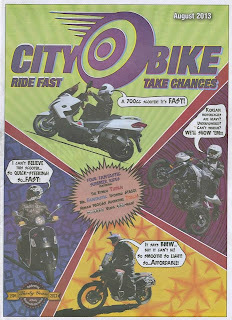 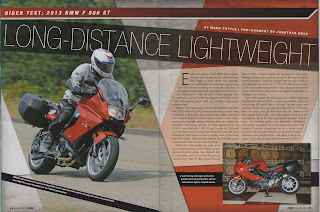 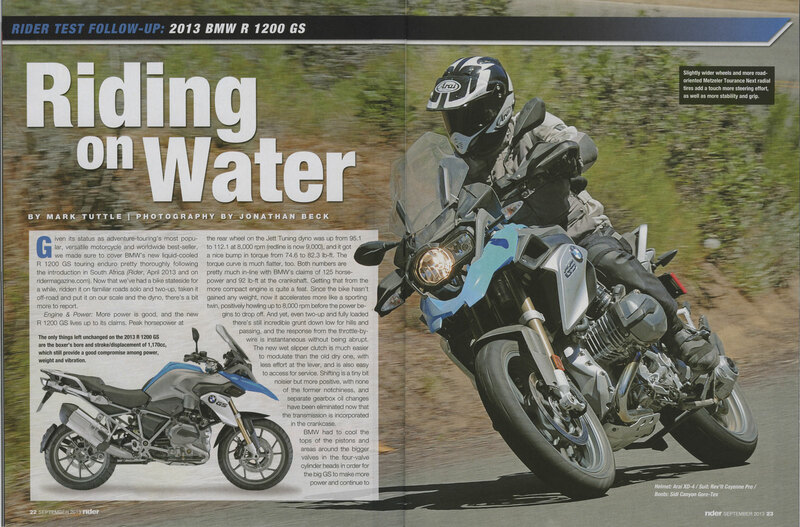 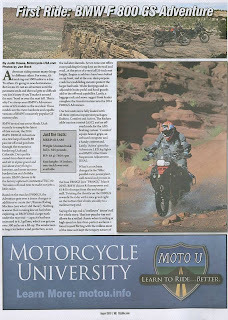 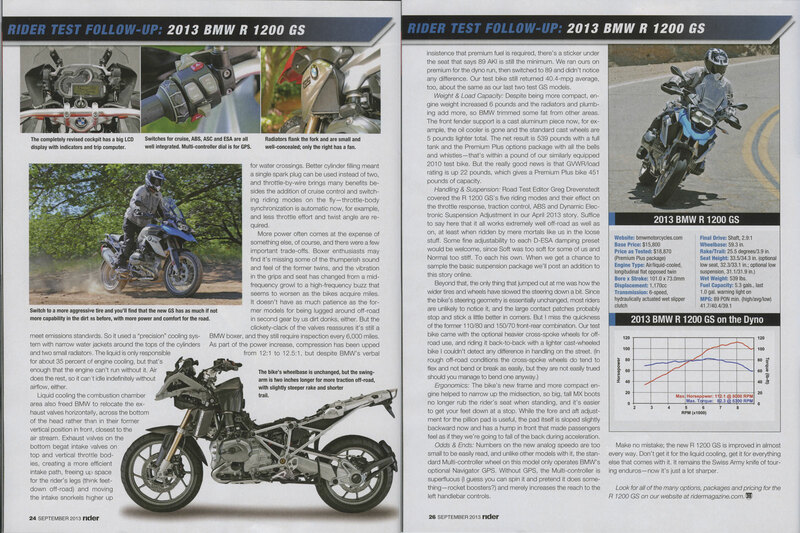 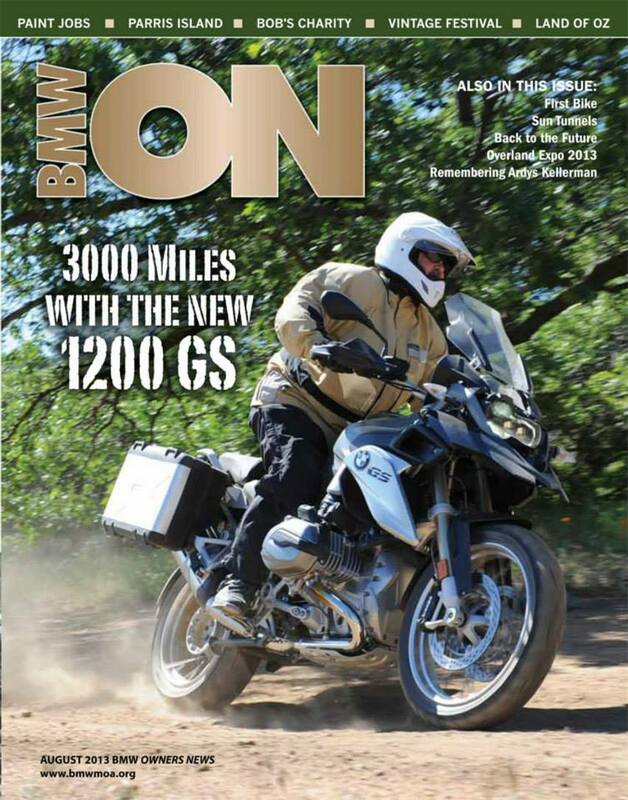 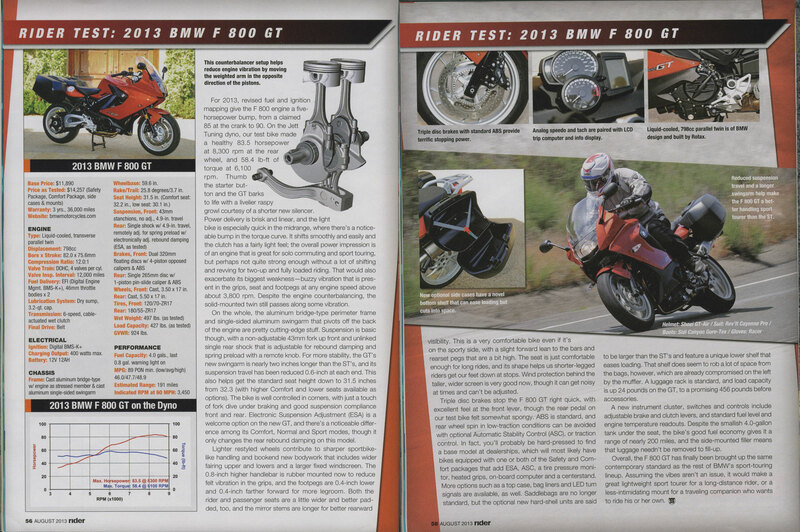 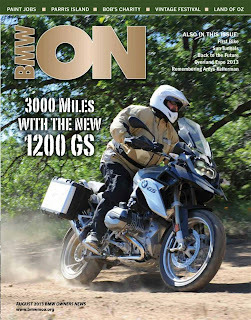 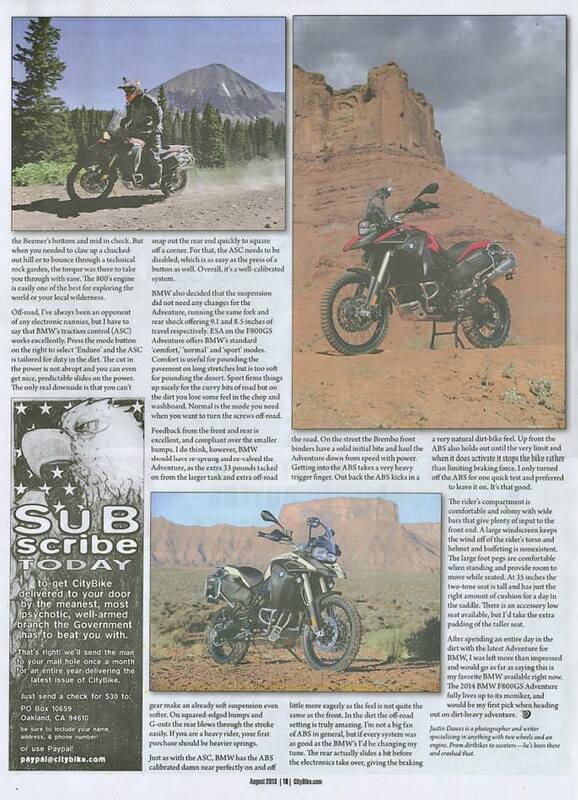 Rider magazine also recently published reviews of both the 2013 BMW R1200GS and GT800 bikes in separate issues. 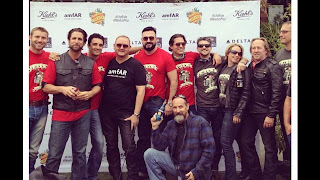 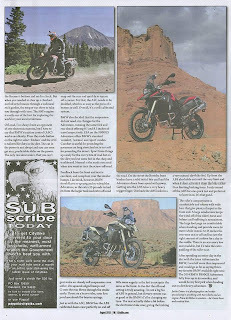 While in a Harley-Davidson store during the Kiehl's LifeRide for amfAR (photos coming) I stumbled across Justin Dawes' review of the 2013 BMW GS F800 Adventure shot in Utah recently.